O.E.M. radiators are just that, Original Equipment. They are designed to cool stock applications and overheating can take the fun out of cruising your hot rod or 4x4 quickly. Be Cool designs their radiators in the same ''Crossflow'' / ''Downflow'' configuration as the original radiator to avoid any installation issues but that is where the similarities stop! Crossflow radiators are constructed with their tanks on the sides, while a Downflow radiator has its tanks on the top and bottom of the core. 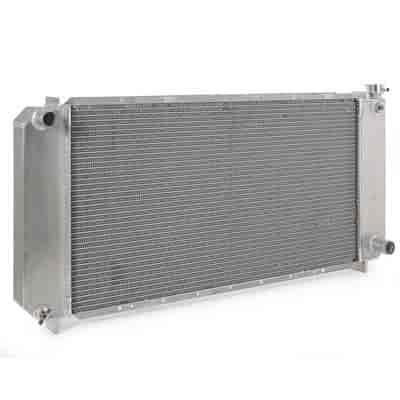 A commonly asked question is: Which is better, a Crossflow or Downflow radiator? The answer: Both will cool the same as long as the core surface of the radiator is the same in square inches. Does Be Cool Radiators 60069 fit your vehicle?